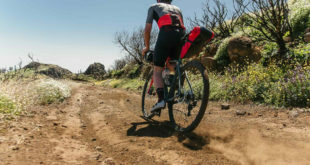 Magura has today revealed an electronic fork, dubbed the eLect, that senses the terrain, metre-by-metre, and adjusts accordingly. Additionally, the eLECT can be calibrated – this allows the rider to specify the tilt angle which the system will then use to automatically lock or unlock. though intended for cross country, one of the system highlights is the ability to detect free-fall – this opens the previously locked fork to allow for a soft landing which will then automatically relock depending on the tilt angle. The fork’s lithium-ion battery, which has a cycle of 40 hours in automatic mode and 60 hours in manual mode, recharges via a micro USB-port – found on the forks crown underneath a removeable cap. After five minutes of inactivity, the fork will go to ‘sleep’ to save battery life. The fork ‘wakes up’ again around five seconds after detecting the first minor impact. The lockout from then on can snap into place in around 0.2 seconds. Should the battery run flat on a ride the damper will fully open to allow you to use the fork as normal until the next charge.